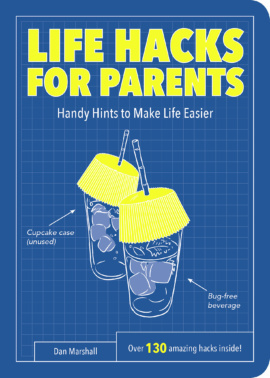 Life Hacks for Parents, ISBN: 9781786850003 - available from Nationwide Book Distributors Ltd NZ. Whether you’re a first-time parent, or a seasoned pro, you’ll know that parenting is a job full of challenges, and with no time off for good behaviour. But take heart and dive into Life Hacks for Parents, your handy guide to making it all that little bit easier. Covering everything from nifty storage hacks to clever cleaning solutions, ideas to make your home safer and suggestions for fun stuff too, this book of hacks will provide you with all the time-saving tips you need, so you’ve got more time to enjoy with your family. Once you hack, you won’t look back!